It has been a while since I last added anything to this section. I pulled together some of the work I was doing on medical history when I was teaching the courses on trapper medicine, Oregon Trail medicine and the history of alternative medicine in this country from the colonial years to present. Fortunately, were it not for some PC and IT geeks back in the early to mid 1990s, much of this information I developed on a my 1982 Sanyo MBC 550[CPM/SYS]/11″ wide daisy wheel printer and my more normal 1992 IBM 286 [DOS] would have been lost and forgotten. Most of what is posted here is research that has been ongoing for about 20+ years (talk about OC). If any of you have read the results of my work on the Dutch-English raised Revolutionary War physician Dr. Osborn (1722-1782), you can see how being patient pays off. It took me more than 20 years to solve the riddle about why an 18th C physician in Hudson Valley, New York was practicing alchemy by using a compound called Ens veneris–a compound then considered to be the elixir of life or philosopher’s stone. I spent twenty years wondering how he came up with this recipe. I could not find it anywhere in the published books. The closest thing out there in the rare book rooms was Robert Boyle’s letter to a friend in which he mentions ens primum veneris, not ens veneris. It was obvious to me this was not the original ‘essence of venus’ as defined by 16th C. alchemists like Paracelsus. For one thing, both Osborn’s and Boyle’s recipes were made with iron instead of copper. The feminine metal of Venus, copper, is needed for the entia or “essence” of venus to be extracted; the metal Osborn and Boyle used, iron, is the metal of Mars and symbolizes the male spirit. Then, some time around 1995/6, I upgraded to a Windows 95 laptop and began periodically visiting the AOL, Yahoo! and Netscape search sites. The very first time I was there, and every now and then afterwards, I’d type in “ens veneris” only to get no hits. (My only hit in 5 years was for a dictionary note on the entry “ens”). Then about three or four years ago, and several generations of PCs and laptops later, I typed in “ens veneris” and out came thousands of hits. I knew something had just happened that was about to answer all of my questions. It ended up Dr. Osborn probably learned this through oral history, due to the local Dutch fascination with mysticism since their first settlement in the Hudson Valley around 1640. The inventor of this ens veneris was George Starkey, a Bermudian chemist who moved to Cambridge, Massachusetts in 1649. While a student at Harvard, he developed this formula in his alchemical lab. Once people learned more of the details of Starkey’s experiments, his notes were put into storage at a library in England and this little piece of American history was lost and forgotten. Fortunately, these notes were re-discovered a few years back, and subsequently translated and published. Starkey’s invention of ens veneris was in there. By reading the manuscript you can immediately tell that Starkey was a Christian Alchemist who “channeled” with God for his recipes. In 1651, Starkey moved to England due to some communications he had with one scientist in particular who was about to become one of the most important chemists for his time, Robert Boyle. Like other scientists, Robert Boyle probably saw Starkey’s notes, read his recipes, and then stopped communicating with Starkey once he began seeing comments inferring these recipes were revealed to him by God. Boyle and others left Starkey behind for years to come, as well as most of his discoveries for Starkey to contemplate and rediscover on his own. Meanwhile, Boyle successfully modified some of Starkey’s recipes and then published them himself. 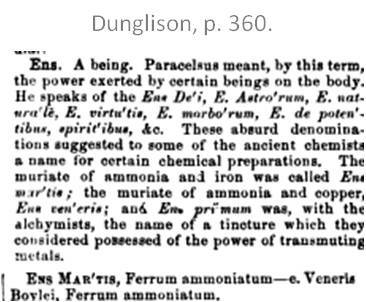 Evidence for this is noted in one of Boyle’s letters to his associates in the field, in which he defines for the first time “ens primum veneris.” Back in 1987, I couldn’t link Dr. Osborn to Robert Boyle or Boyle’s version of this alchemical term. But once I learned about Starkey’s local fame at Harvard, the method Osborn obtained this knowledge became clear. Starkey was still favored by some of the more metaphysically-minded settlers of a primarily Dutch environment. 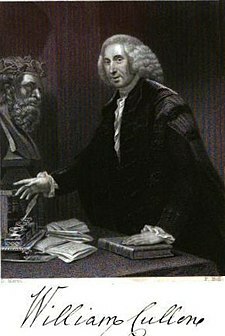 Dr. Osborn was considered by historians to be a “Vitalist”, a follower of Theophilis Borden’s teachings which stated that the organs have their individual life energies that must work in harmony for the body to be as healthy as possible. So be it. Whereas the Swedenborgians for this time had their angels telling them what to do, the true Starkians simply had God. And some residents of the Hudson Valley like Dr. Osborn became the first in North America to believe in the vital force. One of Andrew Jackson Davis’s seancing sessions in the Hudson Valley, from his book on this topic. More definitive proof that Cadwallader Colden‘s philosophy facilitated or led to new faiths being practiced in the Hudson Valley, esp. local medical electricity and the underlying Lamarckian, pre-Darwinian evolution-creation theories for the time, that Colden may have even helped generate. Some notes on the Octagon House in Wappingers, a forgotten piece of local history. Its owner, designer and architect, Orson Fowler, was a popular speaker in what is now the Greenwich Village area. This house is where some of the first metaphysical forms of alternative medicine were philosophized and practiced in this country. Due to a book Orson Fowler wrote on this house, the octagon houses still standing have received national recognition. This is the place where early vegetarianism was practiced, and where vegetables grown in the garden made use of human waste as fertilizer, taken from the earth closet Orson designed. According to an 1850 map in my possession [see below], this is where Orson Fowler and others preached and practiced phrenology. It is probably where Andrew Jackson Davis performed some of his local seances for the first time as a “New Age” Metaphysicist, is where Dods taught Electric Psychology, and is where people were taught to get back to nature. Orson Fowler’s Octagon House site deserves national and New York State historical site recognition. Rev. John Bovee Dods’ early 1840s sessions on electric psychology and magnetism (wearing galvanism pendants), including the notes of one of his students on how to read someone’s energy by palpating the wrist. 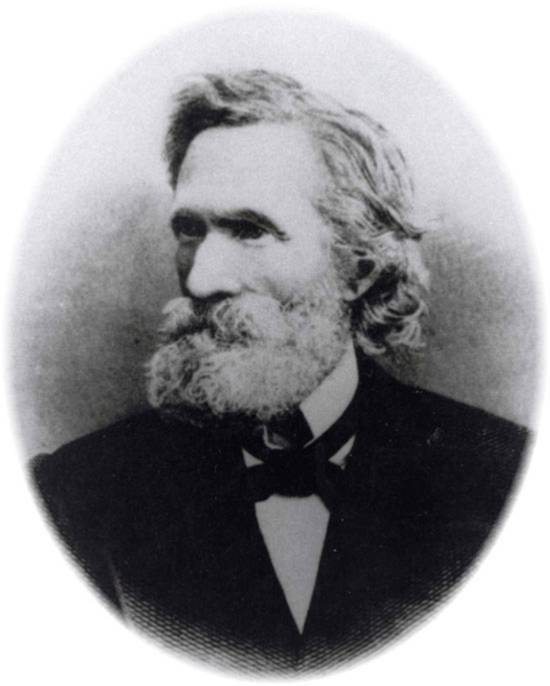 I made some initial entries on the Pacific Northwest history of alternative medicine, in particular trailblazer and Eclectic doctor John Kennedy Bristow (1814-1887); the Pacific Northwest is where the accredited version of naturopathy was rejuvenated around 1956 in Portland, Oregon (at National College of Naturopathic Medicine, Portland, OR, not the John Bastyr College in Seattle, which began as a branch of NCNM ca. 1973). Finally, I had to get to this theory I found in the medical literature out there for others to read; Noah Webster (of Webster’s Dictionary) published a theory on the potential impacts of the first global climate change due to deforestation back around 1797-1810; his theory was that the earth would cool down due to lack of forests! From Map of Dutchess County New-York, from Original Survey. J.C. Sidney C.E., Author of 12 Miles Around New-York. John E. Gillett, Publisher. 1850. I have also begun adding my popular text-book entitled The Evolution of Plant Chemicals. [This will take a while.] This book was quite popular during the years I taught my course on this topic (1989-1993, then 1995-2002, on and off). Note: this textbook sometimes sells for fairly ridiculous prices in Europe (>100 Pds). To the right scientists, this kind of information I developed can be a time-saver. For those who took the Chemicals in Plants course I taught at the university back in the 80s or 90s, I plan to add and publish the results of this work on the ethnobotany/chemotaxonomy tables via this site. I have since then developed several unique approaches to presenting this information using the Plant Evolution Chemotaxonomy Tree I drew up more than 20 years ago (to those who know what I am referring to: sorry, the full tables themselves will probably not be presented due to too much information on a single page, lack of space and readibility issues). Overall, my students back then have found my course book to be a very nice summary of how and where the different types of chemicals exist in the Plant Kingdom and how to go about better understanding them, their reasons for evolution and their ethnobotanical and medicinal values. I highly recommend this to university individuals into ethnobotany, herbal medicine practitioners, and individuals researching bioengineering and tissue culturing plant medicines and other plant products (the reasons I wrote this book in the first place back in the late 1980s). Interestingly, due to the recent news that Venerable Pope John Paul II is being considered for beatification and possibly canonization, I am getting a lot of visitors to my pages about the makings of a saint and the psychological process of self-discovery which many of these people go through. Now on to the main topic that brought me back to this section in the first place. There is this article I came upon about a year or two ago on global warming. It was published by the Medical Repository and distributed out of New York City in 1810. I like call this little bit of medical history trivia ‘Part 1 of the Global Warming-Deforestation issue’, inferring of course that today’s global climate change events are ‘Part 2’. In 1797, Reverend Samuel Williams (1743-1817, sorry, no portrait) wrote a book entitled Natural and Civil History of Vermont (2 vols). In this book he provided a detailed description of the Vermont topography and climate, and made use of his astronomy skills to define the boundary of Vermont with Canada. Ten years before this book became famous, Reverend Samuel Williams of Massachusetts was a Harvard student who graduated and became a professor in philosophy and mathematics. In 1788, he was forced to remove to Vermont due to a financial scandal related to misappropriated funds. In Vermont, he worked as a Congregational minister for seven years and with his cousin, Judge Samuel Williams, helped found the University of Vermont (see http://cdi.uvm.edu/findingaids/viewEAD.xql?pid=williams.ead.xml). During his years in Vermont, two of Williams’ major areas of interest were the theory for the formation of the earth and the fossil records, both in relation to what would later be called evolution. Reverend Williams work on this subject resulted in considerable support for his work, and a considerable amount of criticism from at least one scholar residing in the adjacent states of Connecticut and New York–Noah Webster, author of Webster’s Dictionary. 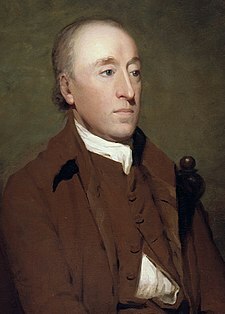 At the time there were the Uniformitarianists led by James Hutton (1726 – 1797), who believed that the present world evolved at a fairly constant rate over very long periods of time. They liked to explain the changes in the earth’s surface based on its geological layering as the result of natural events such as volcanoes, earthquakes, floods, rain, wind and erosion. 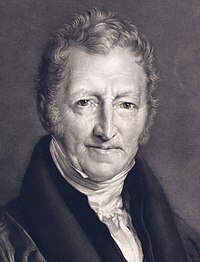 Opposing the uniformitarians were the Catastrophists headed by Georges Cuvier (1769 – 1832). The catastrophists believed in creation, the Great Flood, Adam and Eve, and of course, God. Supporting the catastrophists’ theory was the discovery of the fossil beds, the more complex examples of which were found close to the surface. This resulted in the principle of superposition, which implied that old organisms were destroyed and with each period of destruction replaced by newer organisms designed by the Creator that were more sophisticated in their form and nature. This theory suggested that a number of periods of drastic change or catastrophes had taken place–natural catastrophes like the more recent Great Flood produced by God. Like the other catastrophists, Williams was aware of the climatic differences inferred in the Old Testament when two different historical recounts of the same region were reviewed for two different time frames. Such was the case for a review of the Book of Job by Moses and the writings of David composed 400 years later. Williams believed that the meteorological evidence contained in these two stories indicated that a warming of Palestine had occurred, which Williams claimed was due to deforestation. This deforestation process he claimed is what caused the greater seasonal changes in wind patterns and temperature being noted as time passed, causing some areas to become colder than in the past, and other areas much warmer. 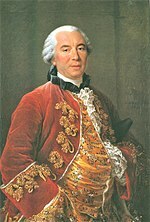 Other Bible historians who believed in this theory at the time included the famous French naturalist and pre-Lamarckian Georges-Louis Leclerc, Comte de Buffon (1707-1788). Buffon was the first to propose a theory considered very close to Darwin’s theory of evolution. 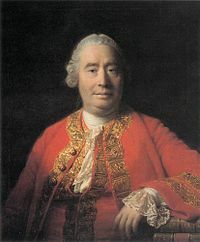 Also supporting the belief in climate change during the Bible years was Scottish naturalist and philosopher David Hume (1711-1776) and a theologian noted by some writers as Dr. Holyoke (probably Edward Augustus, 1726-1826, but could have been his father Edward, who was once President of Harvard. See http://www.salemweb.com/tales/holyoke.shtml and http://www.springerlink.com/content/x38261043t1l9436/). Dr. Holyoke popularized the theory that the large evergreen forests could be related to these climate changes noted in the Bible for some regions, claiming the removal of these trees is what led to much warmer summers and much colder winters. To prove that Buffon, Hume and Holyoke were correct, Reverend Williams made use of his meteorological training from Harvard to compare the weather and climate descriptions found in the Book of Job by Moses and the writings of David composed 400 years apart. The common belief then was that both Moses and David resided in the same place when they wrote their stories down–the land of Midian or Palestine. Comparing these two authors’ entries about the snow patterns observed for the region, and their details as to whether or not the local rivers were completely frozen over, Williams was able to determine that there was a 6 degree increase in the winter temperatures over the 400 years that had passed. In Palestine, the climate was getting hotter over time. Williams publicized this detail about a possible warming of certain parts of the earth, due possibly to wind changes and deforestation. During this time, medical climatology was the ‘buzz word” for the medical profession. Disease was no longer a problem related just you as a person. It was now a product of the local environment and whether or not you were adapted to living in that environment, a product of Lamarckian philosophy and theory developed by Jean-Baptiste Lamarck (1744-1829). One of the most important questions a doctor could ask his patients at the time was: ‘Are you and your parents acclimated?’ If the parents were acclimated, than according to Lamarckianism the children were also acclimated and in much stronger health; if not, then it was going to be a struggle for you and the kids to try to adapt to this new environment in the United States for the next generation or two. This led local expert on climate and disease, Noah Webster (1758-1843, author of A Compendious Dictionary of the English Language, 1st ed., 1806), to make his own comments on Williams interpretations of weather in the Bible. Webster then presented his findings related to Williams’ claims to the Connecticut Academy of Arts and Sciences during a quarterly meeting in New Haven in 1799. Like Dr. Williams, Noah Webster based his results on a review of the Bible, to which he added his own reviews of the natural history of the Middle East and its climate, along with numerous quotes from the work of Hippocrates, various Greek and Roman classical writers, and a number of more recent local natural history findings. “While the earth is covered with wood, it never froze . . . “. Seven years later, in 1806, Webster following up this initial speech with a supplement providing further support of his claims. One year later, around 1807 or 1808, Rev. 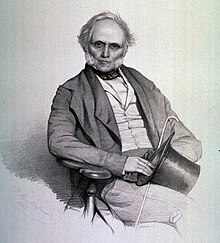 Samuel Williams’ theory about climate change and disease was revived when yet another book on the same controversy was written by John Williams. This book arrived in New York City and made its rounds in the intellectual environment, probably by way of the New York School of Medicine or the local medical journal published in New York, The Medical Repository. John Williams work only pertained to Great Britain. Noah Webster’s theory pertained to the world as a whole. In America, Webster’s theory won out in the end. Everyone local to his state of Connecticut and the adjacent state of New York believed Noah Webster writings. In turn, these events led to a revival of Webster’s claim on global climate change. This revival was supported by the republishing of his 1799 speech and follow ups by the Connecticut Academy of Arts and Sciences in their Memoirs in 1810 . Noah Webster’s final belief was that the Hudson Valley like other parts of the world was on its way to becoming colder, a belief published in the Medical Repository as part of a review of Webster’s claims by members of what would later become the New York Academy of Medicine. The belief in Noah Webster’s global cooling theory and the field of medical climatology were now fully developed. New methods for disease prevention were now being planned for the Hudson Valley. According to some of these believers, the way to combat global cooling theory was also hinted at in Psalm 147:16-18–“He giveth snow like wool . . .” This meant that the establishment of a local woolen industry was now more important than ever for Hudson Valley residents, and to prevent the disease and famine predicted by Malthusianists, the development of a much larger agricultural industry. And all of this took place more than two centuries age, long before the contemporary global climate change theory was created. During my review of the above work on Natural Theology/Natural Philosophy, the meaning of a statement published around the turn of the 19th century by one of Cadwallader Colden’s student fans was clarified. 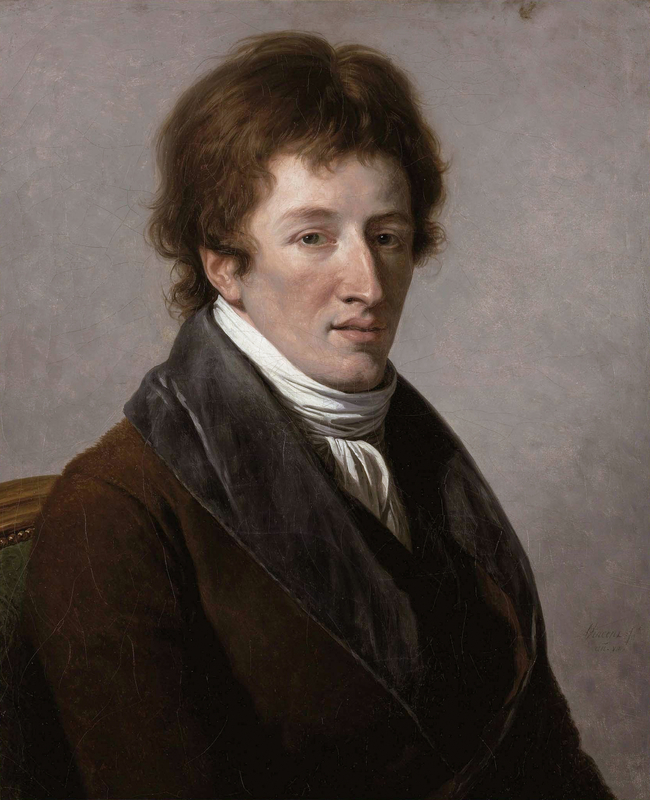 In a brief item published by a French student in the late 1790s/very early 1800s, who came upon Colden’s publication on metaphysics during a stroll about Paris, this young student tells us she was inspired by Colden’s work due to her own work with small animals or animalcules. She felt they had as much value in the world and according to Colden had as much vitality or energy within them as any other living being. This reminds us of how Colden’s theory was written specifically to contrast with the older more mechanical theory of the universe put forth by Isaac Newton during the late 1600s. Colden’s energy-focused principle is not that hard to understand, but stated by a student without knowledge of the full meaning of her statement for the time, we historians are left wondering what she was experiencing and what she meant by her declaration within this particular context. It ends ups that at the time, there were several major philosophies out there regarding the formation of the universe and the development of living things and man. There was the old-fashioned theory of creation, and the newer Lamarckian interpretation of this energy. Erasmus Darwin (1731 – 1802), a physician, natural philosopher, physiologist, and the grandfather of Charles Darwin (1809-1882), had written Zoonomia; or the Laws of Organic Life (1794-6) in which he defined many of the “natural laws” used to define the life process. In this book he defined “The Great First Cause” for all beings. About the same time, Jean-Baptiste Lamarck (1744-1829) had published a theory which claimed that a parent passes onto its offspring those traits that the parent acquires in life. This was the most popular theory at the time this girl [the young student in Paris] made her statement. This series of philosophies provided any natural theologian a philosophy to fall back upon in their arguments and uncertainties about the new scientists’ findings. But it also enabled those non-atheistic scientists, not bound to any particular religion, to find their own spiritual route into their particular studies of natural philosophy and science. Colden’s work was pivotal in enabling his readers, Bibliophile or not, Lamarckian or not, to bridge the gaps of uncertainty most scholars were experiencing at the time. Still, this particular impact of Colden’s work continued along one other metaphysical route. 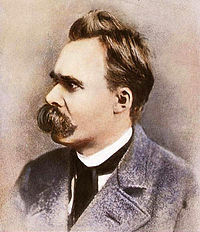 According to a later writer, two theories were developed due to this philosophical split and both were prevalent in science at the time. The first was the monistic theory, also referred to the causal of mechanical theory, which was very much in harmony with Newton’s claims–the world and universe are mechanical. The second was the dualistic theory, also referred to as the teleological or vitalistic theory, a theory claiming there to be this “inner engine” that was responsible for life. According to Newton, this “inner engine” of the universe was winding down. All of the same principles are contained in Cadwallader Colden’s work, however, they are much more metaphysically-based in Colden’s version. This made Colden’s work more attractive to people still devoted to God and religion. During the 1870s, these two theories and their very publicized histories were viewed retrospectively by natural theologian writer Ernst Heinrich Philipp August Haeckel in his book The history of creation: or, The development of the earth and its inhabitants by the action of natural causes. (Published London, 1876, Volume 1, p. 18). 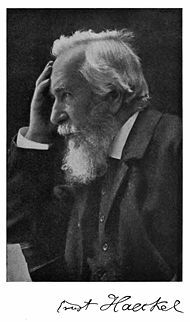 Haeckel’s claim was that Darwin had in fact accepted the existence of God as a part of the Darwinian theory of natural selection. Haeckel related some of Darwin’s philosophy to the pantheism promoted by Italian Dominican monk Giordano Bruno (1548-1600, burned at the stake by the Roman inquisition). Bruno believed the universe was of an infinite nature, with a non-heliocentric composition (our earth and sun were not the center of the universe and reality). In essence, people who appreciate the animalcule and its inner workings are appreciating what Haeckel claims to be God as well. What if this same philosophy about God had already existed in the early 1800s in Hudson Valley history? I already suggested this possibility due to my review of Quaker philosophy. But now, all of a sudden, we have a more concrete link formed between Colden’s philosophy of universal energy and several other local philosophies common to the valley. This is more evidence to my claim that Colden’s philosophy was transformed to meet the needs of several other fairly different philosophical writings for the region. The paths for each of these led to a number of different routes that their originators and subsequent scholars took in medicine. Such is what happened in the Hudson Valley from 1800 on. 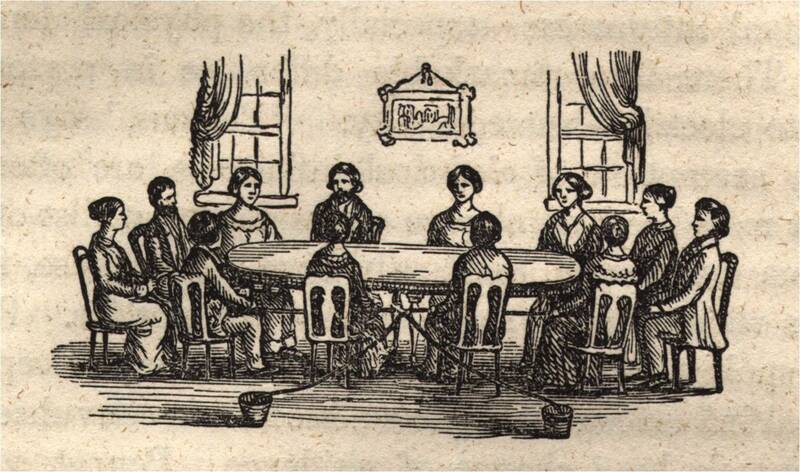 Examples of these transformations of belief include the acceptance of electric healing faiths–in particular the Quaker and French practices of medical electricity in the valley between 1790 and 1810, a philosophy promoted by Shadrach Ricketson and made even more real by a fellow Quaker residing in the Pawling-Dover area, Dr. Jedediah Tallman. These physicians were responding to growing interest in the belief that electricity was an important part of the living process, leading to the publication of a book on this subject Dr. Thomas Gale out of Troy, New York, called Electricity, or Ethereal Fire (1802). Colden’s work also made the region more open to modification and change by upcoming metaphysicists devoted to such new concepts as Gale’s philosophy that “electricity” was the vital force of the body and universe, a philosophy very much akin to the much older mesmerism theory. 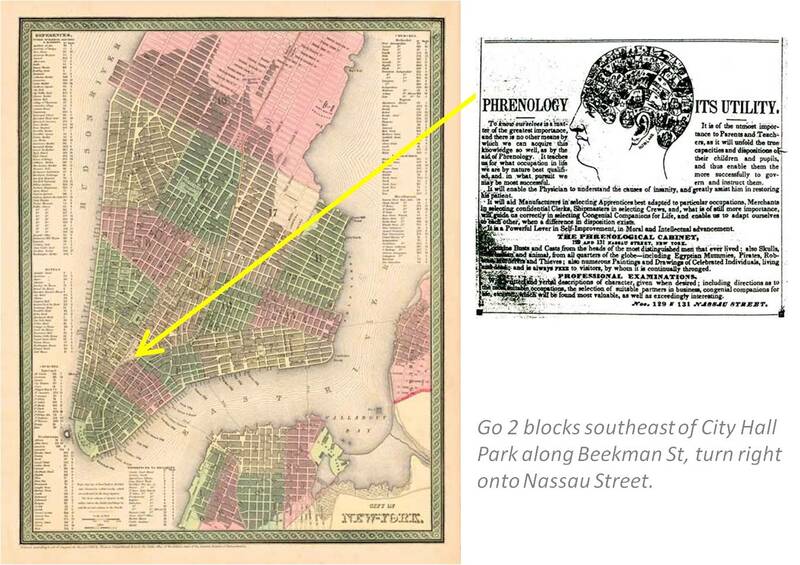 This transition in thought processes or theory improved our understanding of some of the more alternative thinkers of the region, like Ann Lee the initiator of Shakerism, overenthusiastic practitioner and medical publisher of Thomsonianism in Poughkeepsie–Thomas Lapham, seer and seancer Andrew Jackson Davis, and phrenologist and early organic foods and human waste recycling advocate Orson Fowler of Wappingers Falls, NY. Elsewhere in the world, Colden’s influences took still more unique routes as well, the most important of which I have already noted elsewhere. Colden’s metaphysical writing was at least once in the hands of Samuel Hahnemann, the initiator of homeopathy. Hahnemann cites Colden’s work in an early essay he did on mineral drugs (before Hahnemann was popular), in particular for quicksilver or mercury. Like any natural philosopher might do at the time (ca. 1800-1825), Hahnemann converted the “electricity” related to God to the “vital force” concept taught by Colden to something he could relate to his remedies. Like Colden, he probably reasoned that the effectiveness of inoculations could be due to some metaphysical cause. Some evidence for this is found in a book review published in The Western journal of medicine and surgery, a regional professional journal on regular medicine edited by Daniel Drake and Lunsford Pitts Yandell (see New Series, Vol. 5. Apr. 1846, p. 506). In the book on the history and philosophy of homeopathy versus allopathy published in 1846 and entitled Homeopathy, Allopathy, and ‘Young Physic’ (published in Philadelphia, by the well-known publisher Lindsay and Blakiston), the author of this book John Forbes discussed the birth of this now very popular way of thinking about health and disease. Supporting Hahnemann’s conclusions were ongoing disputes about the discovery of inoculations. This growing professional argument could have drawn even more attention to Hahnemann’s claims. Exactly who was the first to discover inoculation was then under dispute (this court hearings and letters on this dispute appear in medical journals ca. 1810-1815). By now, it was accepted that inoculation worked, in spite of not having any rational theory as to why. This in turn supported Hahnemann’s development of a similar theory as to why cinchona causes ague in the healthy, as well as how and why inoculations work. Hahnemann teaches his followers to use his medications in much the same way we might administer an inoculation–in small amounts that are designed to stimulate the body to perform it work due to its own changes in internal energy. This remains the philosophy that many of today’s homeopaths like to follow, who refer to this energy as “vibrations.” Hahnemann’s work subsequently came into this country by way of its most understanding readers and followers culturally, by way of New York City and then westward towards the German communities of central and western Pennsylvania. Since everything Hahnemann wrote was in German, the first classes on Homeopathy taught in Pennsylvania in 1837 were taught in German. Therefore, this form of alternative medicine came to this country by way of a route other than the Hudson River and Hudson Valley. Now, not to be too HV-centric here in my arguments (‘geocentric’ for the Hudson Valley-centered in an informal sense), but this supports my claim that geographically, due to its multicultural background, there is no other natural setting in the new United States like the Hudson Valley. This in turn is due to its Dutch heritage, which helped to form a region perfectly designed for the birth of numerous philosophies of medicine. Most of these births took take place in very short time, between 1800 and 1860, long after the Dutch lost possession of this region politically, but not culturally. This earth closet is very similar to Orson’s design. The only exception is an octagon house was used, the drawing of which is probably what led to this more recent rendering. brother John S. Thorn(e). Grandsons of Dr. James Thorne 1763-1816. As far I am concerned I am working in the field of geomarketing I read with very much interest your paper on Hexagonal Grids. Would have any tools references you could share to me in order to produce Horizontal Apices hexgrids ? I find them very pure.